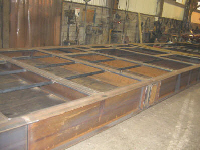 Recently we were approached by a firm that supplies specialist equipment to the Oil & Gas Industry. They were building a containerised compressor station for an oil field in Kazakstan. The compressor station will be exposed to extremes of temperature, with temperatures dropping as low as -40 degrees centigrade in winter. 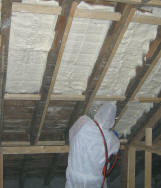 Due to space limitations, a high performance insulation was specified to insulate the floor of the structure. Handi-foam polyurethane foam insulation was sprayed into the base of the compressor station to an average depth of 9 inches, to provide a high level of protection against the extreme temperatures. 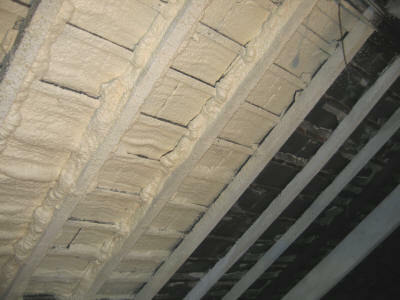 The foam was sprayed in layers and the layers were built up to achieve the 9" insulation thickness. 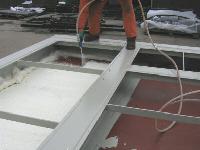 The Quick-cure grade of Handi-Foam was used in this application, as it allowed the layers to be built up quickly to the required thickness. 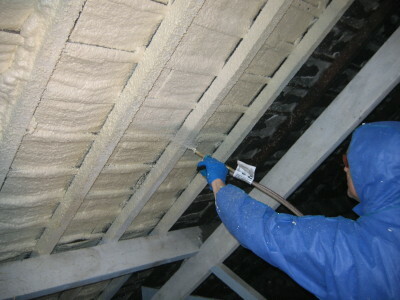 The time taken to insulate the base? About 3 hours with 2 men spraying the foam. Not bad considering the structure was 14 metres (46ft) long and 3.8 metres (12ft) wide and required 9" of foam! A total of 8 large foam kits were used with approximately 40 nozzles.